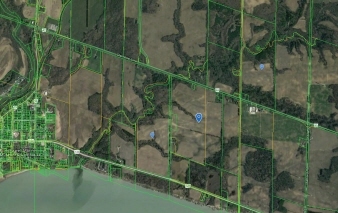 Located in the Port Burwell area, this farm is 3 parcels for a total acreage of 293.57 acres with approximately 200 acres workable and some well managed bush. The sandy loam soil is suitable for vegetable crops as it has excellent moisture holding capabilities. Excellent yields on corn and beans. The 2 ponds on the farms are used for irrigation with good access to the creek. 2 gas leases provide some annual income.